Armenia is a country of old legends, amazing landscapes, waterfalls, hundreds of unique monuments and wonderful people with warm hospitality and rich heritage. As for Armenia's economy, on the early 1900s, the country suffered from excessive decline in productivity following the breakup from the Soviet Union. Nevertheless in the mid 1900s the economy recovered thanks to the government's liberalization efforts. To promote Armenia trade, there a path to market-oriented economy was set out by the government. In 2000 Armenia became a member of WTO. This great event for the country has put in place a foreign trade-friendly policy aiming at attracting international investments and liberalization of trade regimes. Armenia has also free trade agreements with Russia, Belarus, Kyrgyzstan, Turkmenistan, Moldova, the Ukraine, Tajikistan, Kazakhstan and Georgia. In addition, the European Union also has considerable share in Armenia trade figures. Top export products of Armenia include iron, nonferrous metals, copper, diamonds, mineral products and food. Are you an exporter, manufacturer, wholesaleror supplier based in Armenia? Use Export Portal to list your goods from Armenia and find importers throughout the world. Export Portal is an international import/export source for trade leads, import/export leads, b2b marketing and directory. Food processing is one of the most developed sectors in the country making up 14% of the total export value. The most popular products imported by other countries from Armenia are canned food and alcoholic beverage production, especially wine made from locally grown grapes. Other popular Armenian products also include fish, cheese jams, mineral water, milk and dairy products. These products can be successfully introduced to foreign markets with modern processing and packaging technologies that are currently used to export the most popular Armenian products. What does Armenia import? In 2005 there an increase of 31 percent was marked in Armenian imports. Armenia’s leading imports are oil, natural gas, cereals, cork and wood, rubber and electrical machinery. Armenia mainly imports from Russia, China, Ukraine, Iran, Germany, Italy, Turkey, France and Japan. International companies interested in entering the Armenian market are welcome to join Export Portal. Source quality products made in Armenia and find reliable Armenia Suppliers, Manufacturers, Wholesalers and Exporters. Armenia has one of the most open tariff regimes. The country is a member of WTO and therefore the Customs Code is in full compliance with WTO rules. There is no quota for imports from other WTO member countries. Armenia’s foreign trade policy aims to attract foreign direct investments and liberalize trade regimes. Most imports are free of licensing requirements, however there are some restrictions. In the event of complaints against the Customs Authorities the importer has the right to appeal to the superior Customs authority. 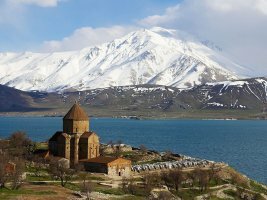 All goods imported commercially must be declared to customs within 10 days after arrival in the Armenian customs territory. Though not yet compulsory, the on-line customs declaration system (e-declaration) will replace many functions previously that were done on paper. Some essential goods like foodstuffs, raw materials and fuels are exempted from customs duties. A customs declaration form must be presented along with a pro forma of the goods being imported. Tobacco and spirits require certificates of quality issued by the national certification body, Armexpertiza. 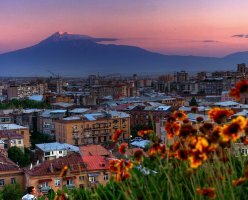 According to the Customs Code of Armenia, all goods exported from Armenia are subject to customs declarations. Goods must be declared at the regional customs offce closest to the exporter's location. Goods and vehicles with TIR Carnets exported by legal persons are declared in the TIR Customs House in Yerevan. There are no registration requirements for exporters, and all exports of goods from Armenia are subject to a simple customs declaration system. A declaration form is submitted to the customs offcial, who is responsible for verifying its completeness as well as the validity of the supporting documentation. There are no export restrictions and export taxes in Armenia, and there is no system of minimum export prices, however for some products exporters need to obtain prior State permission for export operations. These are weapons, nuclear materials, pharmaceuticals, rare animals and plants, rare objects or artifacts considered part of the national patrimony. Exported goods and ancillary services are zero rated for VAT purposes. The customs duty rates are provided by article 102 of the Republic of Armenia Customs Code. Customs duty rates for imported goods are 0% and 10%.